Multimedia content and video revive the page will offer visitors a vivid and interesting presentation of your service or product. This component can handle embed video on web left back. Video enjoyably presents your services / products to help them better sell. Creative video, you can differentiate from the competition and attract customers. Simply insert your own videos or videos taken from Youtube channel. 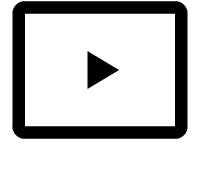 You can insert a video with a label and set to run at a particular time.